"Very meticulous and good with clients." "Recommended for tax and international matters in the Mercantile Court." Born and educated in Sydney, Australia, Wayne joined the Bar of England & Wales Bar in 1999. Previous to this he had practiced at the New South Wales Bar in Australia since 1992. In fact his legal career had commenced back in 1981 when he began working as a clerk at the family law practice, Goldstein & Giurrisevich in Sydney whilst studying law at university. In 1985 he first came to the UK in order to play cricket professionally, which he did over the next 5 years, whilst at the same time qualifying and practicing as a podiatrist, specialising in sports medicine. After completing his legal training in Sydney, he commenced a general common law practice at the New South Wales Bar in 1992, in areas as disparate as crime, personal injury, chancery and family law. He then relocated to the UK, where his legal career continued as a commercial solicitor for Crombie Wilkinson in York, before joining the bar on the Northern Circuit in 1999. In his early days at the English Bar, and utilising his unusual versatility, he focused on criminal law, housing, personal injury, commercial and chancery work. However, during the past 10 years he has focused more intently on the commercial and chancery side of his practice, although still defending in selective criminal cases. Wayne has an extremely eclectic and wide ranging practice. He brings a sensitive yet common sense and commercial approach to his cases. He is well regarded for his ability to find straight forward solutions in the most difficult and complex cases. His very substantial court experience in all manner of cases for over 25 years means that he is valued for his tenacity and forensic ability as an advocate. Although now focusing on general commercial and chancery cases in the High Court, County and Lands Tribunal, he is also interested in advising and appearing in unusual or novel legal proceedings, whilst still appearing in the Crown Court on occasions. He is licensed to accept Direct Access instructions from the public. Contested probate claims including challenges to the validity of wills due to incapacity and duress and the interpretation of wills. Advising on the formation of trusts including charitable trusts having particular regard to taxation issues. Claims concerning disputed franchises or agencies. Acted for individuals in claims for libel and slander. Currently acting for a high profile politician in relation to a defamation claim. Involvement in serious and complex inquests where his wide body of legal and medical knowledge is particularly useful. Whilst he concentrates on civil matters he still appears in selective criminal cases particularly focusing on fraud, white-collar crime, regulatory offences and drug conspiracies. Wayne has substantial experience as a lecturer having provided seminars in both Australia and England on a wide variety of legal subjects. He also has considerable experience teaching advocacy and was formerly an honorary tutor at Newcastle University (Australia) in the legal practice course (LPC/BVC equivalent). He is also a registered pupil supervisor. He is happy to provide seminars to organisations and firms and welcomes enquiries in this regard. C v C High Court, Mercantile Court Manchester (2014) Acted for the Defendants in an extremely complicated £1m claim by a son against his mother and family accountant for fraud and theft of monies held in an off shore tax haven by his deceased father. Claimant asserted that the monies had been transferred to him and then fraudulently taken from him over 20 years ago. C v H: Mercantile Court (2014) Claim concerning a dispute surrounding the breakdown of an agricultural engineering partnership involving complex factual issues. Bocal v Union Bank of Nigeria. 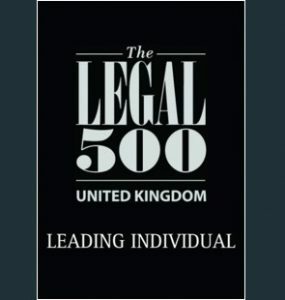 International Arbitration Centre London (2013) £500million breach of contract claim against the UBN for breach of contract concerning the formation of a new online banking system that was shelved by the bank just before the system was to begin operating commercially. U Drive (Gibraltar) Ltd Enterprise Insurance PLC High Court (Mercantile Court) 2015 Acted for Claimant in £50m arbitration claim in which Defendants sought to stay proceedings on the basis of “illegality” and absence of valid arbitration clause”. Wells v Pilling Parish Council  EWCA 566 (Ch) Rectification of Land Register where adverse possessor had claimed ownership of part of a beach. Anchor Trust v Majid: Leeds High Court Chancery (2016) An interesting case concerning the application to correct a mistaken entry in the Land Registry where a car park was actually legally owned by two innocent parties who had validly acquired the property. Smith v Frankland  UKUT 294 (TCC) 29th May 2015. Acted for the Applicant who sought adverse possession of a garage and the land surrounding it. The Lower and Upper Tribunals had to consider the extent and applicability of the “common character of locality” principle. Rawstron v Walsh Preston County Court (2012) Acted on behalf of the family of a soldier killed in Afghanistan, who asserted that he left an oral or nuncupative will, thus seeking to overturn his formal written will. Re Estate of H: High Court Chancery Division (2015) Claims by estranged wife and infant children for provision out of £2.5 estate. Competing claims by adult children. R v Match Solicitors Manchester County Court (2015) Successful and interesting claim against solicitors who acted for a school teacher (former professional rugby player) who had been “sacked” for arranging an overly vigorous rugby rucking exercise. Solicitors had failed to lodge Employment Tribunal within the time limit but solicitors asserted that the claim was bound to fail. H v J: FSA Ombudsman (2014) Acted in relation to a potential claim for $1million (US) arising out of the failure by a stockbroker to sell shares as instructed when the trigger price for the stock was reached with the share price subsequently collapsing causing an almost total loss of the stock value. Climbers for Cancer (2014) Advised a new cancer charity on the appropriate trust instrument and the trading trust entity with regard to tax efficiency and compliance with charities law. Etheridge v Shotwick Park Estate: Chester County Court (2002) Acted successfully for the claimant in an interesting disrepair case in which it was argued that bed bugs had infested the tenant’s property, which caused property damage and personal injury. The case turned on whether the bed bugs had originated from African or European Housemartins, as that determined whether the bed bugs had ingressed through the roof or the windows. Appeared successfully at first instance and prepared for appeal (also successful) relating to a claim by player of a “one armed bandit” who won a large sum of money when the machine “malfunctioned” and the club refused to payout. Considerable press coverage. Claim by residents of a mobile home for an injunction and declaration relating to extortionate rise in LPG gas prices by the new park homeowners. NHBC v Barnes: Preston County Court (2014) Interesting claim by the NHBC for an indemnity for the construction of houses relating to the construction of a single property Scotland enlarging the indemnity to all properties constructed in England. Consideration of Scots contract law. L v C: Lancaster County Court (2011) Successful claim for the return of a classic Mercedes Benz by the “innocent” purchaser from the original owner who had placed the vehicle for sale with a “reputable” dealer who absconded with the money and who had recovered the vehicle whilst the purchaser was working abroad. E v S Distillers: Advised in relation to a very unusual claim for the return of a large quantity of single malt whisky held in bond by a distillery that had been purchased many years ago by an investor (claimant) from a fraudulent “ancient whisky” company who promised enormous returns but did not pay the for the storage of the whisky that the investor had purchased. The distillery had sold the whisky to pay for the bond charges and the investor was left without his whisky. Claim settled when the distillery offered to replace the lost whisky! Inquest into the mysterious poisoning death of elderly matriarch where all family members were potential suspects. Bad character test case involving 6 conjoined appeals. Case concerned the limits of a defence application concerning non-defendants bad character. Succesfully defended breach of fisheries regulations by major fish supplier. Something of a test case. Curiously the £1m investigation on the Fylde coast resulted in a single prosecution concerning a handful of “illegally” caught sea bass! £1.5m multi-handled “damp proof” scam fraud trial lasting 3 months representing the only defendant to be acquitted. Evans v Gwynedd Council: Carnaerfon Magistrates Court (2013). Acted successfully for small hotel/wedding venue owner who challenged local authority’s licensing restriction preventing them from playing live music at the hotel. Case involved the use of acoustic experts and a consideration of the law of “public nuisance”.